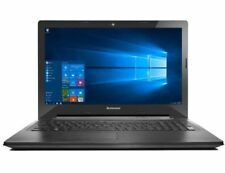 Lenovo Ideapad 310-15IKB i5 8GB RAM 1TB HDD 15.6" - Silver Laptop. Lenovo’s Ideapad 310 laptop is designed for anybody who wants a dependable laptop at an affordable price. The Ideapad 310 is fitted with a Kensington MiniSaver cable slot to let you securely lock it to an immovable device so it cannot get stolen. Especificaciones Lenovo Ideapad 310-15IKB Peso 2.2kg. Lector de Tarjetas 4 in1 (SD, SDHC, SDXC, MMC). 1 x USB 3.0. 2 x USB 2.0. Batería 2 celdas Ion de litio 30 Wh. Sonido Dolby Audio. Micrófono Sí. Lenovo Ideapad 310 15.6" (1TB, Intel Core i3 6th generación, 2.00GHz, 4GB) portátil..
Lenovo IdeaPad 310 15.6" (1TB, Intel Core i3 6th Gen., 2.00GHz, 4GB) Laptop -.... Condition is Used. Dispatched with eBay delivery – Shutl 1 day. PROCESADORAMD A10. CAPACIDAD HDD751 GB - 1 TB. 14 días de. Estamos para ayudarte. Disponibilidad: En existencia. CAPACIDAD SSDNO. TECNOLOGIA ALMACENAMIENTOHDD. DESCRIPCION CORTALEVES SIGNOS DE USO INAPRECIABLES EN LAS FOTOGRAF?AS. PROCESADORCORE I7. CAPACIDAD HDD751 GB - 1 TB. TARJETA GRAFICA1 GB. 14 días de. Estamos para ayudarte. Disponibilidad: En existencia. CAPACIDAD SSDNO. TECNOLOGIA ALMACENAMIENTOHDD. O objeto funciona excelente, tem garantia e mandamos por correio em 72 horas. PROCESADORCORE I5. 14 días de. Estamos para ayudarte. Disponibilidad: En existencia. VELOCIDAD PROCESADOR2.3GHZ. TECNOLOGIA ALMACENAMIENTOHDD. PROCESADORAMD A12. CAPACIDAD HDD751 GB - 1 TB. 14 días de. Estamos para ayudarte. Disponibilidad: En existencia. CAPACIDAD SSDNO. TECNOLOGIA ALMACENAMIENTOHDD. DESCRIPCION CORTAARA?AZOS EN CARCASA. PROCESADORAMD A10. 14 días de. Estamos para ayudarte. Disponibilidad: En existencia. CAPACIDAD SSDNO. TECNOLOGIA ALMACENAMIENTOHDD. SISTEMA OPERATIVOWINDOWS 10. TARJETA GRAFICA512 MB. ROM: 128GB. Quedan exentos de garantía todo aquel producto susceptible de rotura como carcasa o pantallas, que una vez instalado se detecte una rotura. En caso de producto defectuoso, MóvilesPortátiles procederá, según corresponda, a la reparación, sustitución, rebaja del precio o resolución del contrato, gestiones que serán gratuitas para el consumidor y usuario. PROCESADORAMD A12. TARJETA GRAFICA2 GB. 14 días de. Estamos para ayudarte. Disponibilidad: En existencia. CAPACIDAD SSDNO. TECNOLOGIA ALMACENAMIENTOHDD. DESCRIPCION CORTALEVES SIGNOS DE USO IMPERCEPTIBLES EN LAS IMAGENES. PROCESADORAMD A10. CAPACIDAD HDD751 GB - 1 TB. TARJETA GRAFICA2 GB. 14 días de. Estamos para ayudarte. Disponibilidad: En existencia. PRESENTA ARAñAZOS EN ZONA CHASIS. CAPACIDAD SSDNO. Esta laptop ha sido limpiada, probada, reformado. Es una opción excelente para oficina, hogar, o la escuela y la Universidad. Open Office está instalado. Es compatible con Word, Excel y Powerpoint. Overview - Lenovo IdeaPad U310 Touch Ultrabook 6890-66G. Lenovo IdeaPad U310 Touch Ultrabook 6890-66G. 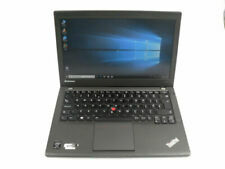 ® Lenovo IdeaPad U310 Touch Ultrabook 6890-66G is boxed and in excellent condition as pictured. UK Power Chord (3 Pin). 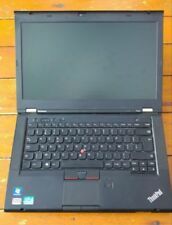 1 x Lenovo ideapad 310-15ISK 15.6" Laptop. 1 x Lenovo 45W Power Adapter. Hard Drive has been wiped with Blancco Drive Erasure prior to Windows installation. Storage 1 TB 5400 RPM SATA 6Gb/s 2.5" Hard Disk Drive. Lenovo 310-15ISK 15.6". 1x Lenovo 310-15ISK. As part of the sale you"ll receive. 8GB DDR4 RAM. The Lenovo Ideapad 310 is the ultimate blend between high performance computing and amazing value for money pricing. Featuring solid performing processor power from the AMD A10 Quad core processor, and ample 8GB RAM, The Lenovo Ideapad 310 is easily capable of keeping up with the most demanding power user and multitasker. 1 x Lenovo ideapad 310-15ABR 15.6" Laptop. Processor AMD A12-9700P APU 2.50 GHz up to 3.60GHz. Graphics AMD Radeon R6 Graphics integrated in processor. 1 x Lenovo 45W AC Adapter (UK). Ports One USB 3.0, two USB 2.0, VGA, HDMI, Ethernet (RJ-45), Headphone/Microphone Combo jack. 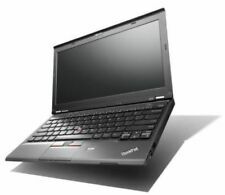 1 x Lenovo ideapad 310-15ABR 15.6" Laptop Only. Processor AMD A10-9600P APU 2.40 GHz up to 3.30GHz. Graphics AMD Radeon R6 Graphics integrated in processor. Ports One USB 3.0, two USB 2.0, VGA, HDMI, Ethernet (RJ-45), Headphone/Microphone Combo jack. 80SM00PVMB Clavier Belge Fr. Label Certifié Reconditionné. Ecran intact. En choisissant le reconditionné, vous optez pour des économies sur tous les plans ! Votre budget est préservé, la planète aussi ! Lenovo 310-15IKB 15.6". 1x Lenovo 310-15IKB. As part of the sale you"ll receive. Lenovo IdeaPad U310(6890)/Touchscreen. The IdeaPad U310 laptop is slim, smart, responsive — and affordable. 500GB SATA 7200 RPM Hard Drive 24GB Samsung Mini mSata SSD (Two Drives). 13.3" 1366x768 HD LED-Backlit Widescreen Display with Antiglare - 720p TOUCH SCREEN. If you love streaming music or binge watching videos online but don’t want to spend money on features you don’t need, the ideapad 310 is the laptop for you. 1TB Hard Drive. Manage Your Pix with Lenovo Photo Master. 15.6" HD LED (1366x768). 3.5 mm Combo Audio Jack. Built-in DVD Drive. No scratches, No dead pixels. Fully working. BIOS Checked. Tests and Condition 4-in-1 Card Reader (SD, SDHC, SDXC, MMC). Lenovo Ideapad 310 15.6" White Laptop AMD A10-9600P 2.40GHz DDR4 8GB 1TB Win 10. Lenovo 310 15.6". 1x Lenovo 310. AMD A10-9600P. As part of the sale you"ll receive. Lenovo ideapad 310-15ABR 15.6". 1x Lenovo ideapad 310-15ABR. As part of the sale you"ll receive. Lenovo 310-15ABR 15.6". AMD A10-9600P. 1x Lenov 310-15ABR. As part of the sale you"ll receive. Its thin profile makes it perfect for your on-the-go lifestyle. Its black color lends it a smart and stylish look that everyone is sure to admire. This laptop not just ranks high on … Tech Specs. 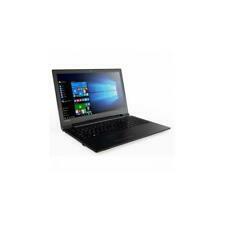 4GB 32GB 2-in-1 Laptop - Black. 1TB HDD - £75.00. The 15” Ideapad 310 lets you choose the display resolution that’s right for you. Options range up to Full HD (1920 x 1080). With up to 1TB HDD or 500GB SSHD storage, you won't have to worry about where to put all your data, videos, music, or photos. Hard Drive : 500GB HDD. CD Drive : none. 12 MONTHS WARRANTY. Warranty : 12 Month. Various : HDMI, Card Reader. USB Ports : 3. Webcam :YES. Bluetooth : Yes. Hard Drive : 500GB HDD. Webcam :YES. CD Drive : none. Keyboard Layout :Swedish (QWERTY) Version. Various : HDMI, Card Reader. USB Ports : 3. Screen size : 13.3" 1366x768 HD. Bluetooth : Yes. Lenovo 310-15ISK 15.6". As part of the sale you"ll receive 1x Lenov 310-15ISK. CCTV & DVR.